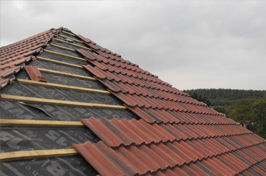 We specialize in working with the following roofing systems: flat roofing, rubber roofing, torch down roofing, cold roofing, TPO roofing, EPDM roofing, rubber roofing, tile roofing, shingle roofing, metal roofing, slate roofing, concrete roofing, fiberglass roofing, built-up roofing, modified bitumen, and many other roofing systems. 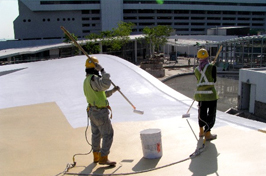 Types of waterproofing include sheet membrane, bentonite system, liquid system, and metal oxide system. Masonry is the art of using stone, rock, and minerals to create structure, and it is one of the oldest professions of all time. Red Stone Contractors is home to some of the most talented masons in New York City, New York. We have designed and created beautiful sidewalks, driveways, chimneys, walls, and buildings. We provide expert consultation on site when we arrive at your building or home. Our masons will tell you which compounds work best as a part of your establishment. Red Stone Contractors has a multitude of experience in waterproofing buildings. Many buildings have wood interiors as opposed to concrete. Wooden interiors will be subject to greater damage with poor waterproofing. 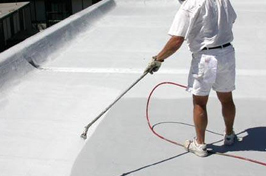 The most dangerous season of the year for waterproofing are fall and winter months. The low temperatures can cause water to freeze which can break down wood very fast. Waterproofing establishes tunnels for water to travel back down into the ground safely. 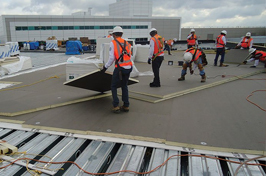 Our waterproofing team is here to help you lower the humidity inside the structure, which has long-term benefits. level of expertise for both commercial and residential properties. you enjoy your final product. We understand that your home is your number one priority so we treat it as ours. Our team is committed to work with you through consultation and guidance to find the best and most appropriate way to achieve your desired results. We formulate a quote and project plan so you can understand your project timeline and events. Our team takes the stress out. Our team at Red Stone Contractors are motivated and talented professionals committed to meeting deadlines and budgets. Our well-trained professionals have an impeccable eye for detail, meaning that we're able to exceed your expectations in quality and image. Our professionals deliver outstanding results within your timeframe and your budget. We have the knowledge and skill to restore your home while seamlessly transitioning from pre-existing buildings to renovated areas. Copyright © 2019 Red Stone Contractors. All Rights Reserved.